Designed by Hermès’ legendary artistic director Henri d’Origny – the man behind its whimsical patterned ties – the Arceau is asymmetrical, stirrup-shaped, and arguably the brand’s most recognisable timepiece (aside from the overly obvious “H” watch). Since its creation in 1978, the Arceau has evolved into countless iterations, including the inventive Le Temps Suspendu, an adaptability afforded by its understated yet nuanced design. 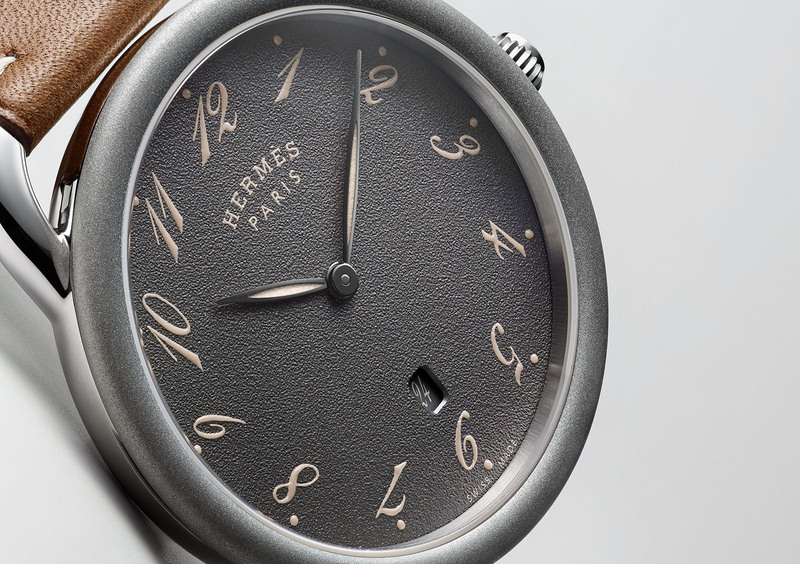 As the watch turns 40, Hermès has unveiled the simplified Arceau 78, just ahead of SIHH 2019. Named after its year of birth, the Arceau 78 is stainless steel and 40mm in diameter. While it keeps the signature stirrup-inspired case, it is distinguished by the varied surface finishes. The case band and lugs are polished, standing in contrast to the matte, sandblasted finish on the rounded bezel. 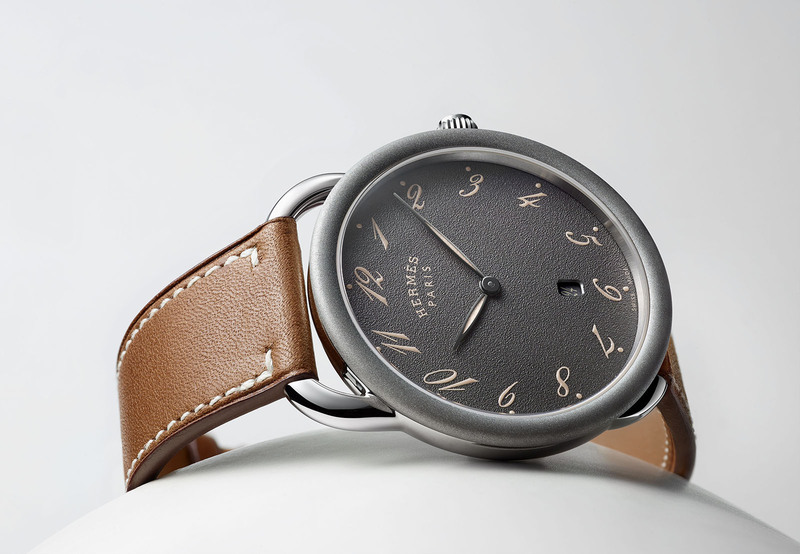 Its anthracite dial is also in steel and sandblasted, but with a more granular surface. Inspired by the gallop of a horse, the model’s signature italicised numerals are printed in cream Super-Luminova, while the date wheel is in grey to match the dial. Like the majority of Arceau models, the watch is powered by a fuss-free, Swiss-made quartz movement and is fitted on a natural Barenia calf leather strap. 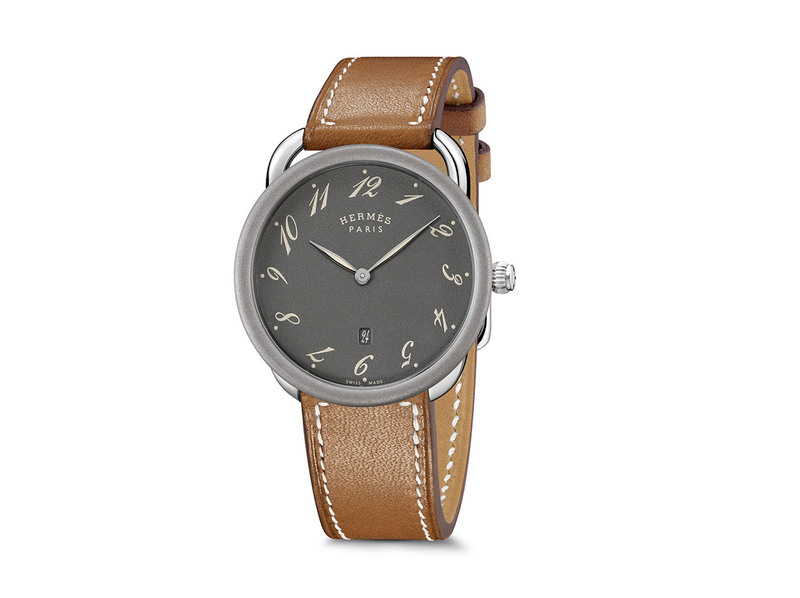 The Hermès Arceau 78 is priced at SFr3150 or €2700, and will be available starting the second quarter of 2019. SIHH 2019: Introducing the Audemars Piguet Royal Oak Offshore Chronograph "Camo"